The Virals' home on Loggerhead Island is under threat, and only one thing can save it: a lot of money. Rumour has it that notorious pirate Anne Bonny hid her treasure somewhere in Charleston in 1720. No one knows where, but Tory Brennan - great-niece of famous forensic anthropologist Dr Tempe Brennan - is certain that the Virals can work out Bonny's cryptic clues. It isn't long before the Virals are on the right track. But they aren't the only ones searching for the treasure. Someone is following them, and will stop at nothing to get their hands on it. Dead bodies litter the trail. Time is running out before the island will be sold. Will the Virals' special powers be enough to save them? 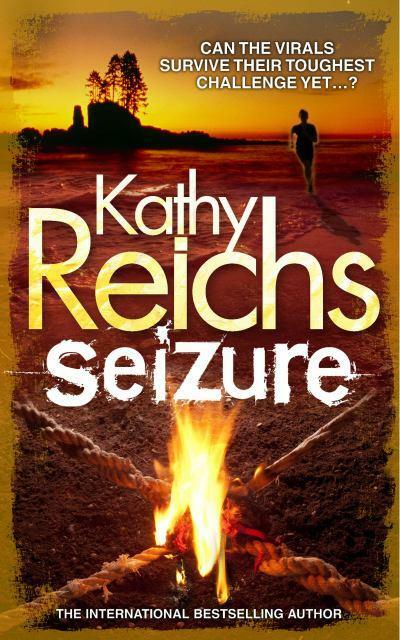 Seizure is the second book in Kathy Reichs' Virals series which is aimed at the young adult market. Although it is a spin off from her Temperance Brennan series (the main character Tory is Tempe's grandniece) it is very different to the adult series. That isn't necessarily a bad thing - I for one am enjoying this new series - I just think it helps to know what to expect when you pick up the book. Personally I still think it would have been better if the author hadn't tried to link the two series together because they are so different and I think fans of her adult series are picking these books up with expectations that aren't going to be met. Although I liked Virals I have to say I think things stepped up a gear in Seizure and I enjoyed the second book even more. This is turning into a great adventure series and it still has a very strong Famous Five feel to it. You have to suspend belief at the things this bunch of 14 year olds can achieve but it is so much fun to read that I'm happy to do that. Despite the fact that this book has nearly 500 pages it still feels like quite a fast read and it is the kind of book I would have devoured when I was younger. Tory and her friends Hi, Shelton and Ben were changed forever when they were infected by an experimental virus that has added wolf genes to their DNA. They are still learning how to use their new abilities and don't have full control over the "flares" that often come over them at the most awkward moments. They are horrified when they find out that the research institute where all of their parents work is going to be closed. It would mean them all moving away from each other and they know they need to stick together so they can keep their abilities secret. In a desperate bid to raise the money that is needed to keep Loggerhead Island open for business they decide to go in search of pirate Anne Bonny's treasure. Anyone who has ever watched the Goonies will immediately pick up on the similarities between the two stories - a group of very close friends living near each other don't want to be separated but are going to have to move because they don't have enough money to stay, both groups go in search of hidden pirate treasure to try and save the day, many other people have searched for this treasure before but most of them have never been seen again - I could go on with the comparison but I don't want to give spoilers (everything I just mentioned happens very early in the book). As a massive fan of the Goonies I loved the similarities, I think it helps that the characters themselves make a reference to the movie and I'm sure Seizure is meant as a homage to the original story. 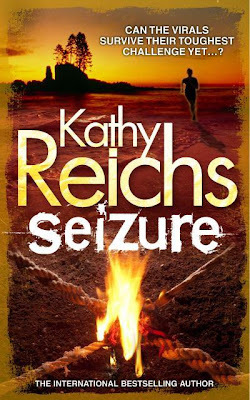 If you are looking for a a realistic crime thriller like the Temperance Brennan books then Seizure probably won't be the book for you. However, if you're after a fun, old fashioned adventure story with a bit of a sci-fi twist then look no further (I would recommend you start with the first book in the series Virals though). I'm sure this series will be popular with teens and I for one am really hoping we get to see more of Tory and her friends in the future.